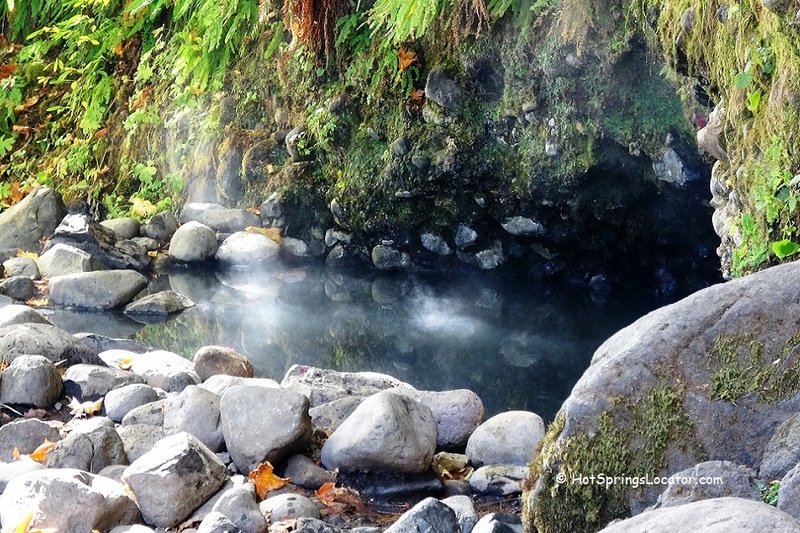 Tucked along the banks of the scenic Mckenzie River within boundaries of the Willamette National Forest, Deer Creek Hot Springs is also known as Bigelow Hot Springs or McKenzie Hot Springs. 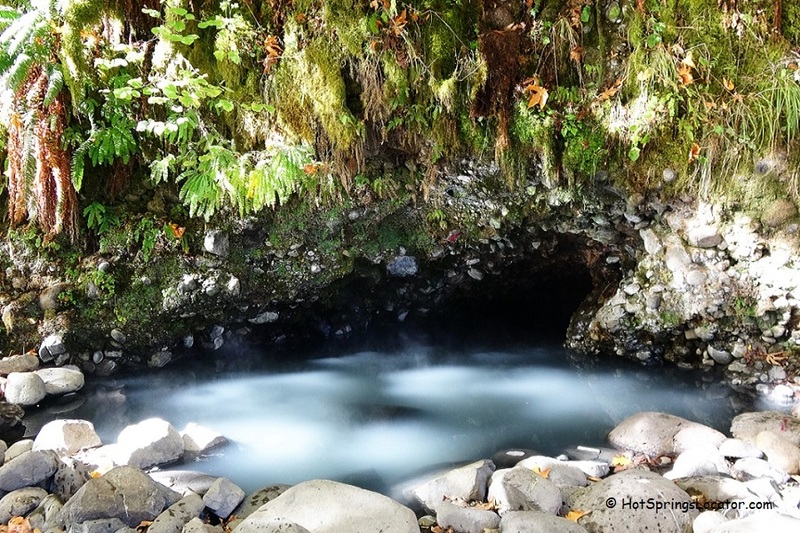 Located 60 miles east of Eugene, Deer Creek is the neighbor to the Belknap Hot Springs Lodge & Gardens. 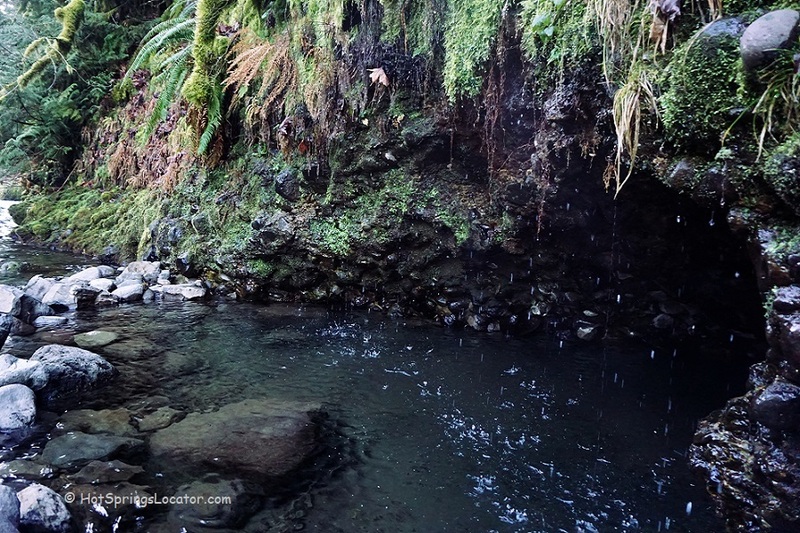 Deer Creek Hot Springs is a primitive small pool lined with riverside rocks on its outer edge. 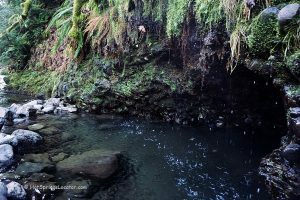 The 8- by 12-foot pool has coarse sand and gravel bottom and partially enclosed into a fern-lined grotto. The pool can only accommodate a few people. Hot water slowly emerges from the pool bottom, maintaining a comfortable temperature between 90 and 100°F, depending on the time of year. 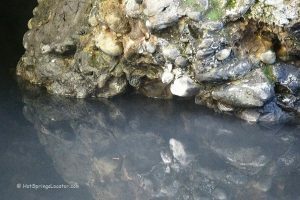 During winter and spring months, when a river level is high, the water of the pool is chilly because it submerges and mixes with the cold river. The best time for soaking is the summer and fall seasons. 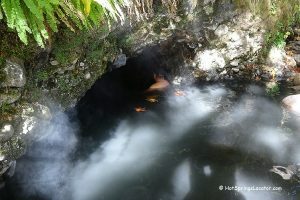 Deer Creek Hot Springs is a free day-use area. Clothing is optional. The pool is easily accessible from the parking area. The trailhead begins from the day-use sign. Park your car, take the lower trail, and follow two hundred yards downstream along the river. DISCLAIMER: This website or the contributor have made great efforts to provide accurate, complete and detailed information. 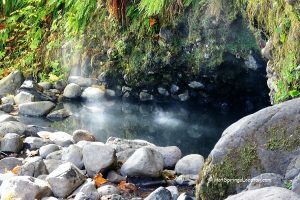 Due to this information is subject to change at any time, the team of the Hot Springs Locator cannot guarantee that is either current or correct. This website visitors assume full responsibility for any use of this information and are encouraged to contact local agencies directly to inquire about the most up-to-date information and regulations. If hot springs are located far enough from the parking area, check Facts Section for exact springs coordinates.